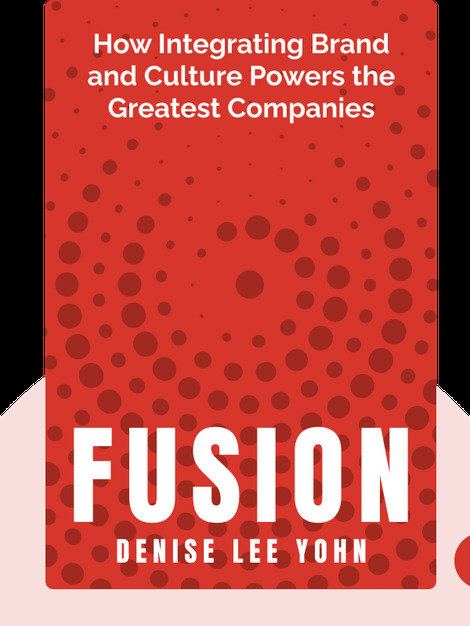 Fusion (2018) advises businesses to bring together two corporate realms that are often regarded as separate: brand and culture. If fused into one, these two areas can create a new and powerful driving force in any business. 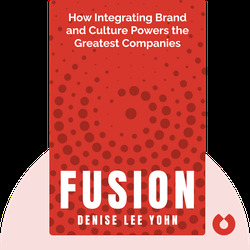 Denise Lee Yohn, a brand-building and brand-leadership expert, is a business consultant, keynote speaker and influential business author. A regular contributor to Harvard Business Review and Forbes, she is also the author of What Great Brands Do: The Seven Brand-Building Principles that Separate the Best from the Rest.